"The book that you hold in your hand, dear reader, will highlight the existence of the law of Rajm and its significance in Islam, together with proving its implementation beyond any shadow of doubt from various sources of Islamic Law. 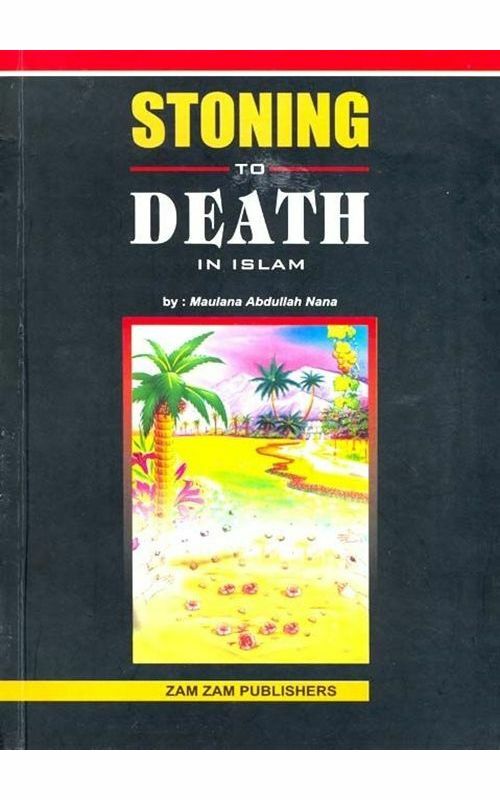 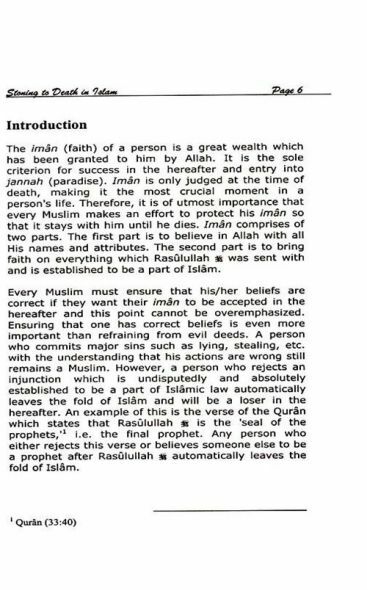 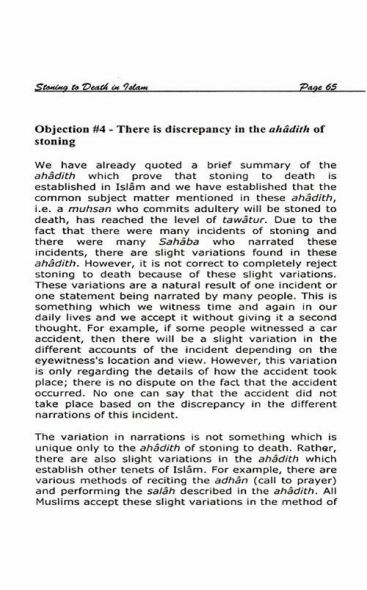 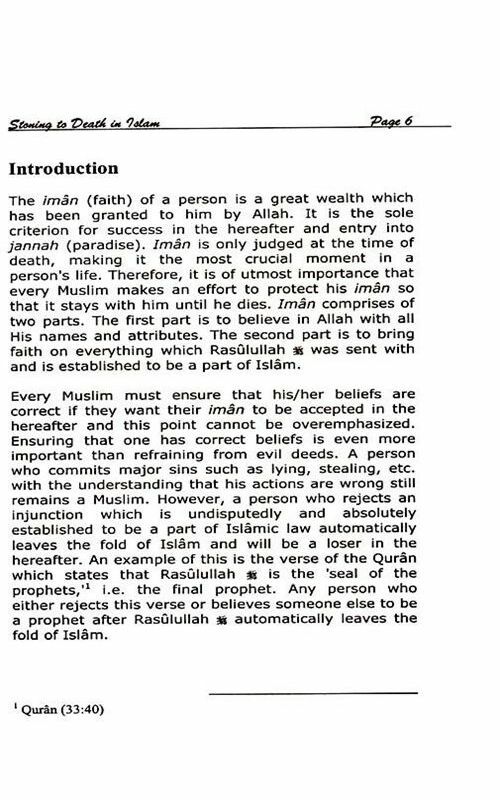 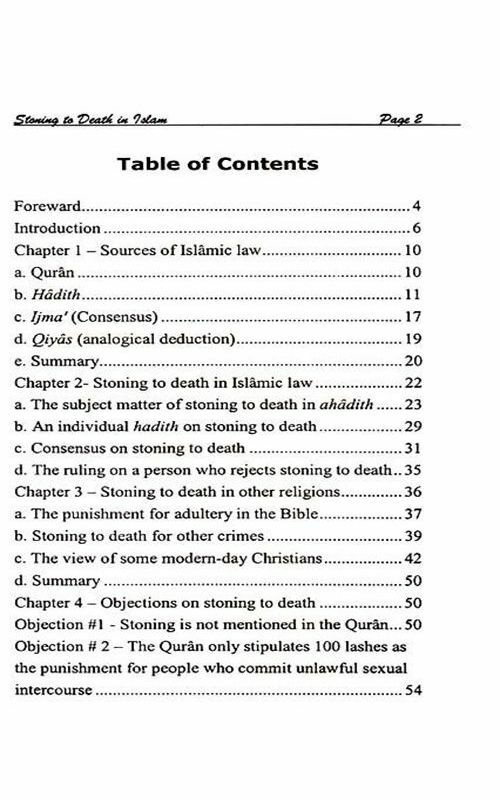 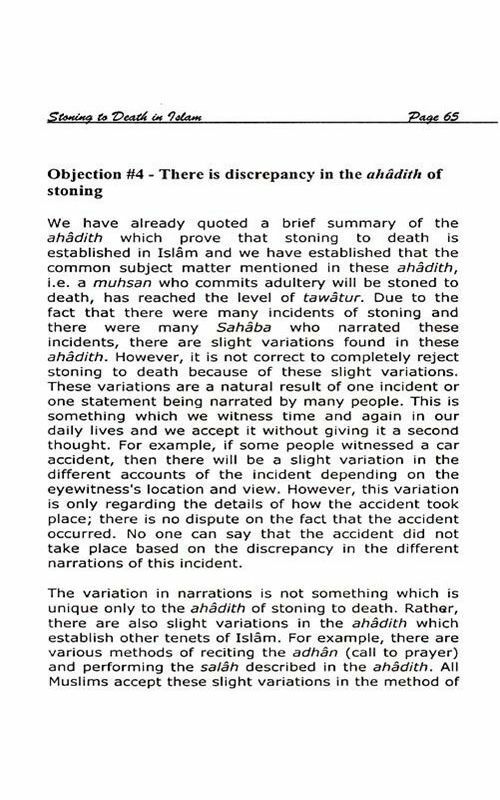 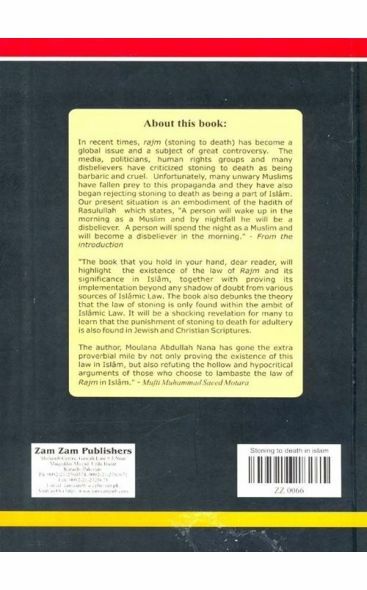 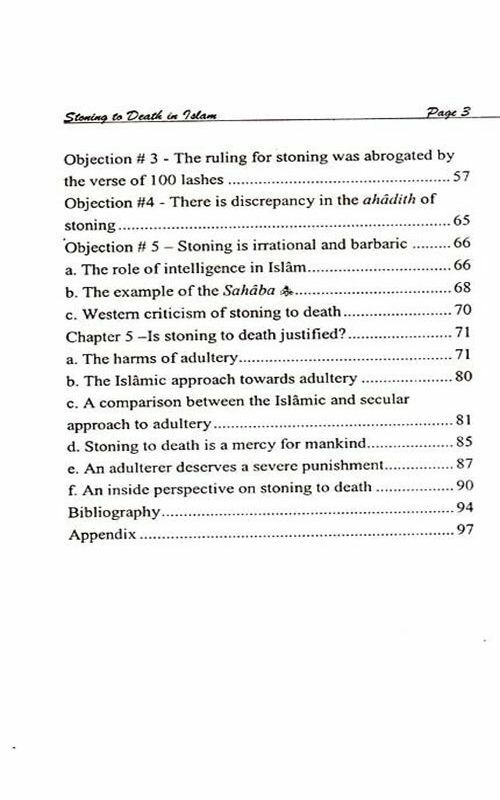 The book also debunks the theory that the law of stoning is only found within the ambit of Islamic Law. 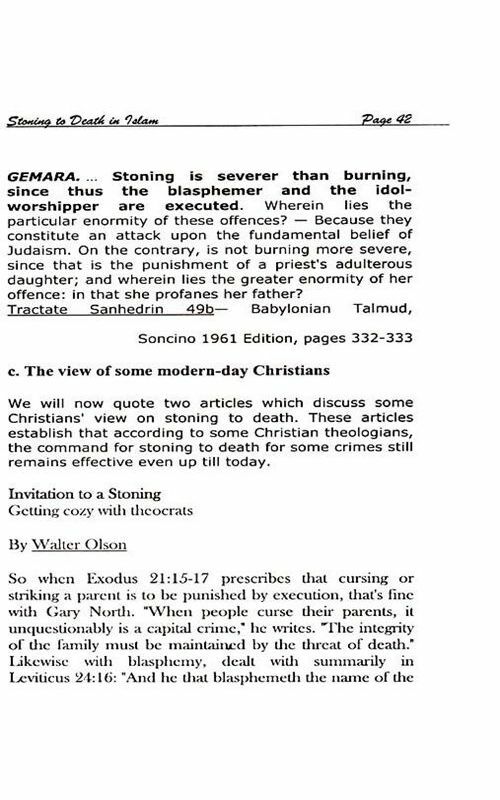 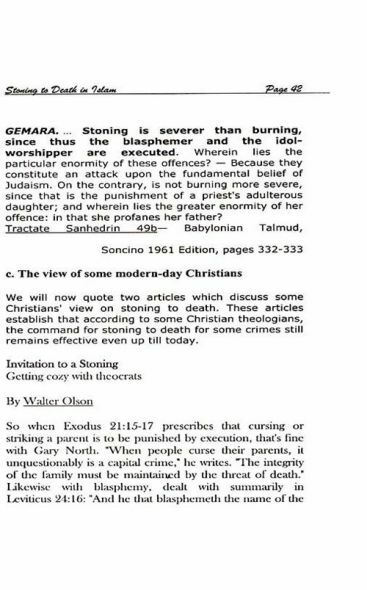 It will be a shocking revelation for many to learn that the punishment of stoning to death for adultery Is also found In Jewish and Christian Scriptures.